These announcements are super special. The trifold with printing on both sides and a photo in the middle – I just love them! The bride requested a bold wreath with a monogram. It is an interesting card that is unique for guests to open. A thoughtful little package in an envelope. With all the information needed and interesting to look at. My Mitty caps hand. With a bit more bounce for a festive feeling. I’m a big fan of the navy screen print on the kraft paper. It just feels a bit more casual for a Napa wedding. 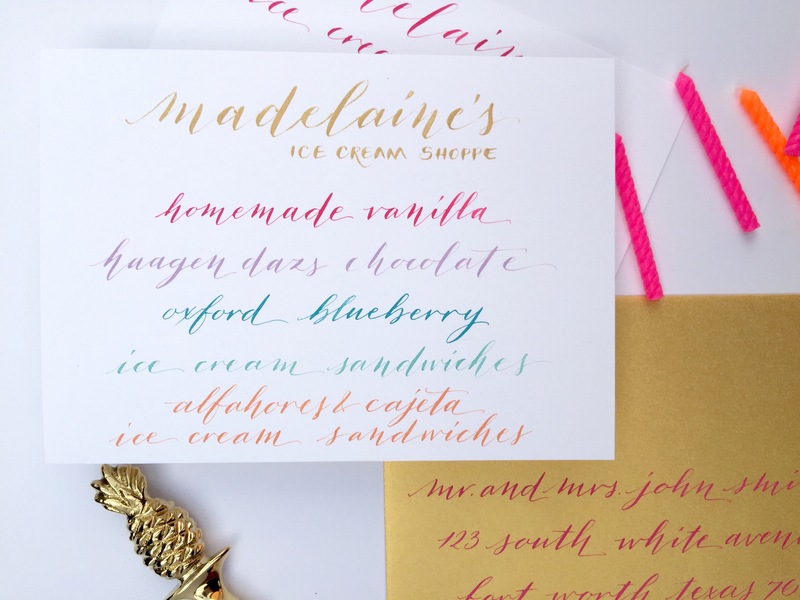 I think the fun calligraphy styling really brings a casual California feeling to this wedding. It slows things down a bit and tells guests that this is going to be a happy celebration. The classic photo is also really nice. Also, the berries in the photos just give it a wholesome feeling. Right!? 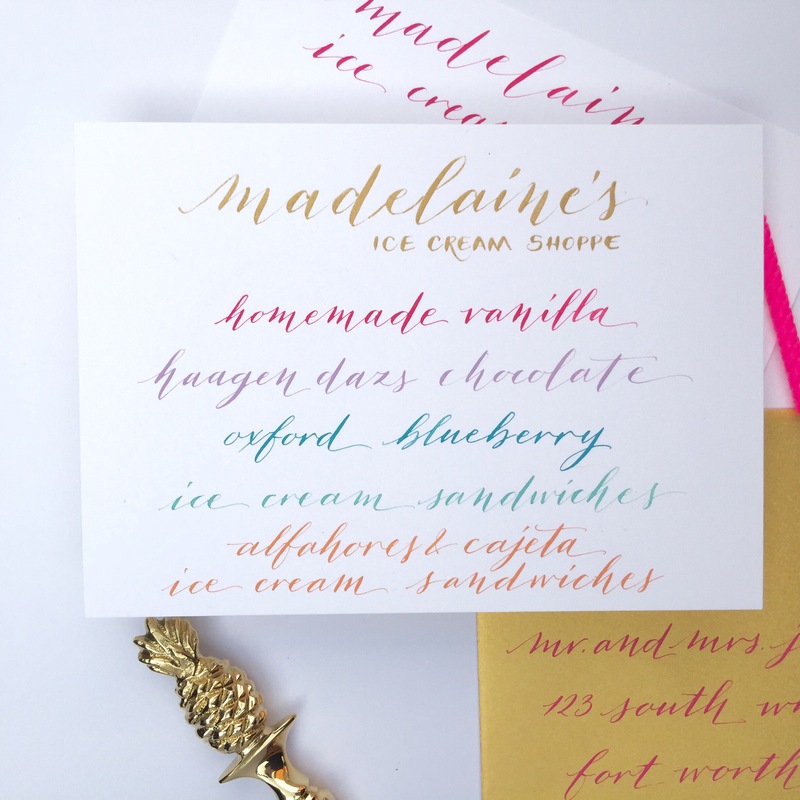 Wedding calligraphy addressing really gives so many options to express a personality for an event. 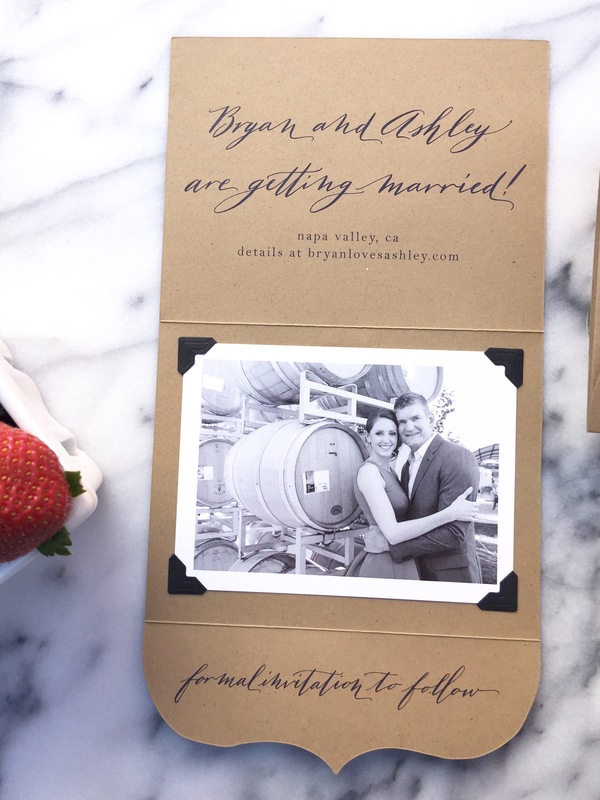 Weddings can have fun and interesting addressing features too! Depending on your envelope color and ink color selections you can get something really interesting. 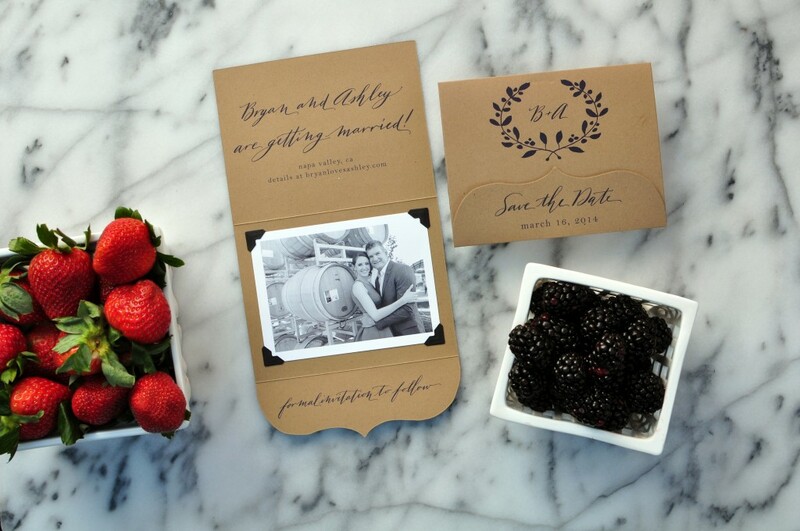 You can use a white envelope and black ink with a traditional calligraphy style for a formal feeling. You can change out the ink color for a more custom aesthetic. You can change the envelope and ink color also. 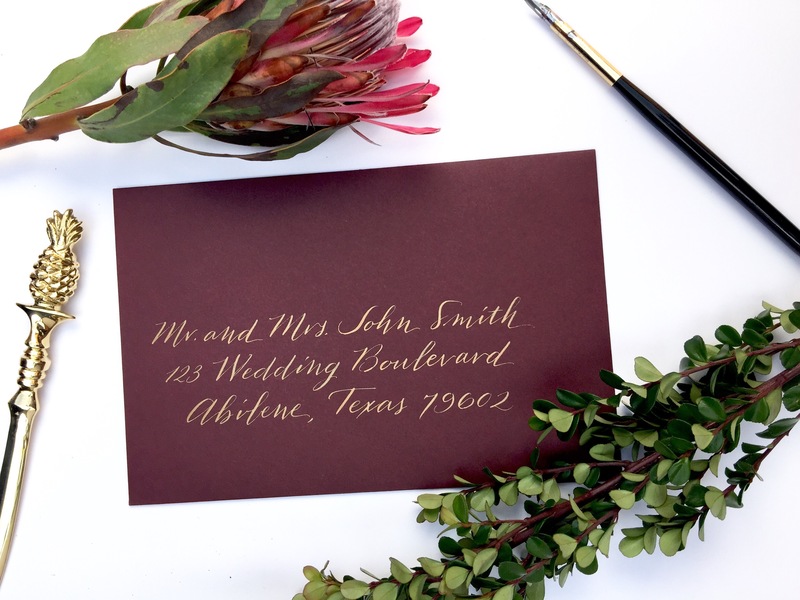 Gold ink for calligraphy always makes an event feel formal and festive. 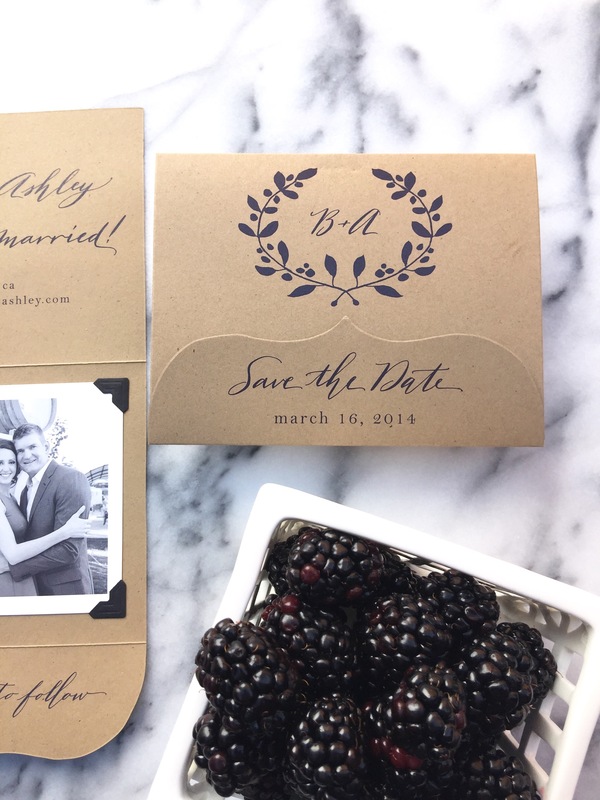 These wedding envelopes turned out so pretty with a bit of gold on the burgundy envelopes. Perfect for fall! In my Mitty Caps hand – and of course in collaboration with the talented The Nouveau Romantics! who screams for ice cream? We scream for ice cream! In rainbow colors and fun flavors! This little sign was perfect for a high school graduation party with an ice cream shoppe. Using my Mitty hand in many happy sorbet colors! 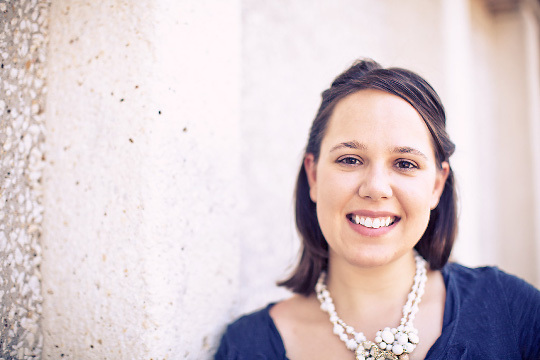 You can see the invitation envelope in the back with pink on gold. These colors were so fun and happy!